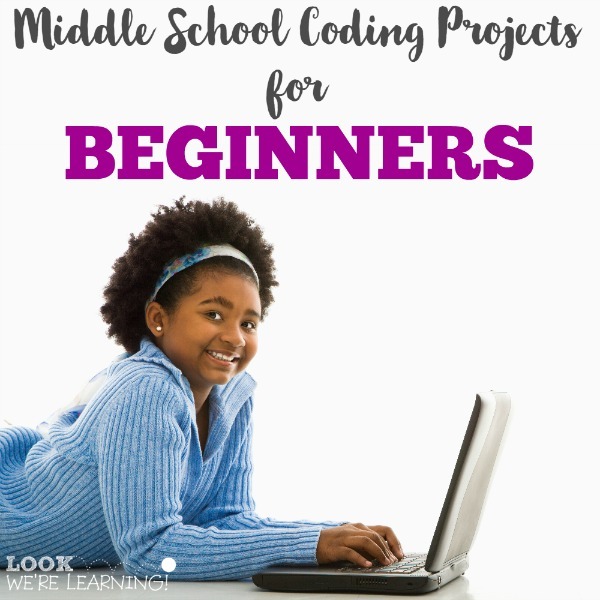 Easy Middle School Coding Projects for Beginners - Look! We're Learning! It’s hard for me to believe, but I’ll have a middle schooler this fall. (Yikes!) And one of the subject areas I really want to focus on with her is STEM. But – here’s my conundrum – I wasn’t really that interested in science as a kid. And, to make matters worse, the sciences have vastly expanded since I was in school. I had no clue about computer programming as a kid and no real desire to learn it after I grew up. Today, though, it’s obvious that our kids need to learn (at least) the basics of coding. Personally, I want to encourage my daughter to learn anything without feeling that it’s “too hard” or “too complex”. And programming can certainly appear that way, especially at first. 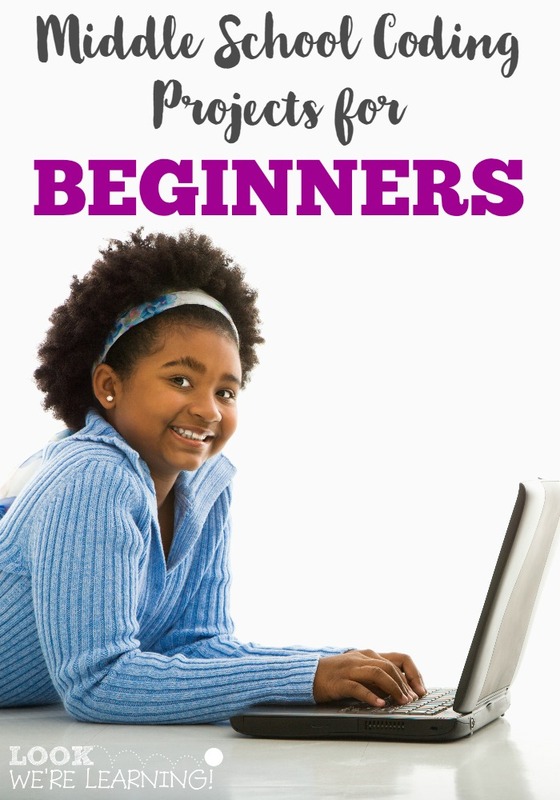 So I’ve found middle school coding projects that are perfect for beginners! Trust me, they’re even easy enough for us parents to teach! 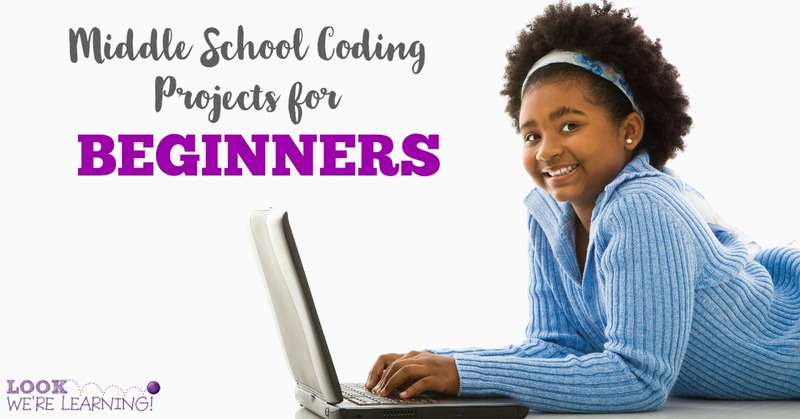 Try some of these easy coding projects with your middle schooler over summer break! 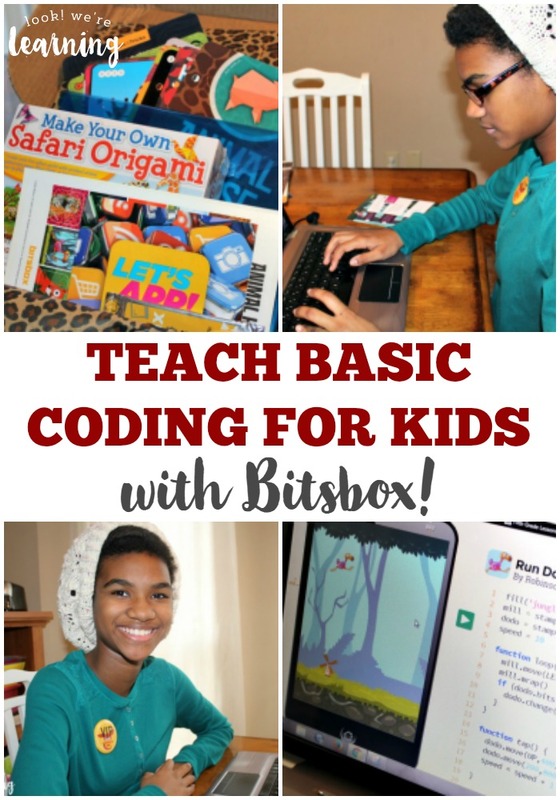 By the way, find out how to use Bitsbox to get a new set of coding projects for middle schoolers each month! Coding itself is a bit abstract for my kids to grasp. But when I tell them “You can learn to do ______”, they get way more interested. And that’s what I like about these easy middle school coding projects for kids. They all teach kids to make something. Even better, they’re all absolutely free! 1. Learn to make a website. Really. With CodeAcademy, kids (and adults) can learn to create a website from scratch in as little as four hours. 3. Make a GIF. GIFs are everywhere and, I’ll be honest, I love them. Kids will love using Google’s Made with Code program to design their own! 4. Build a Star Wars galaxy. Code.org features a simple and super fun Star Wars drag and drop exercise that’s perfect for beginning coders! 5. Design digital art. Another Code.org project, this one lets kids use coding and math to create art from angles. 6. Program a virtual robot. Lightbot is a project that teaches kids how to send program commands to a robot that follows their instructions. 7. Make your own beats. This Made with Code project lets kids use Blockly to create their own music. 8. Code a 3D Solar System. In this Scratch project, students can alter and design an existing solar system project and add their own touches. 9. Design an animated story. Google CS First, a resource for introducing computer programming, offers this project to kids of all ages, but it’s ideal for middle grades. See more coding ideas below! 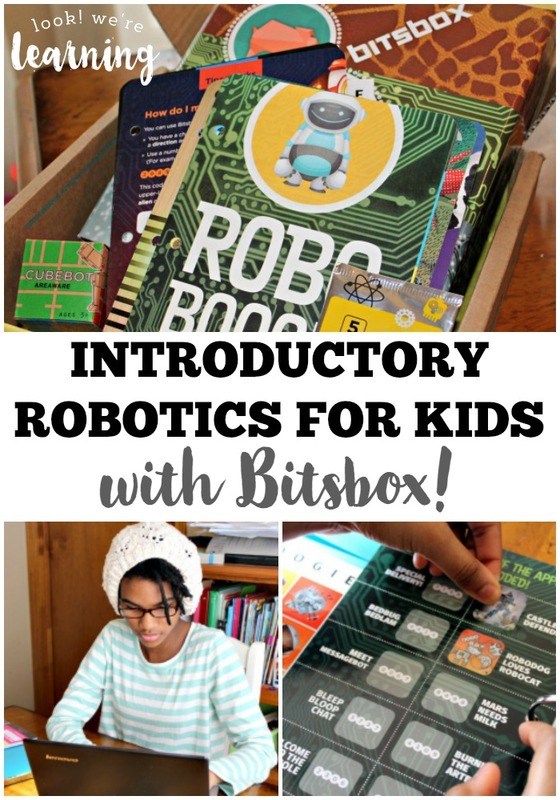 And get even more ideas for STEM education from my STEM for Homeschoolers board on Pinterest! 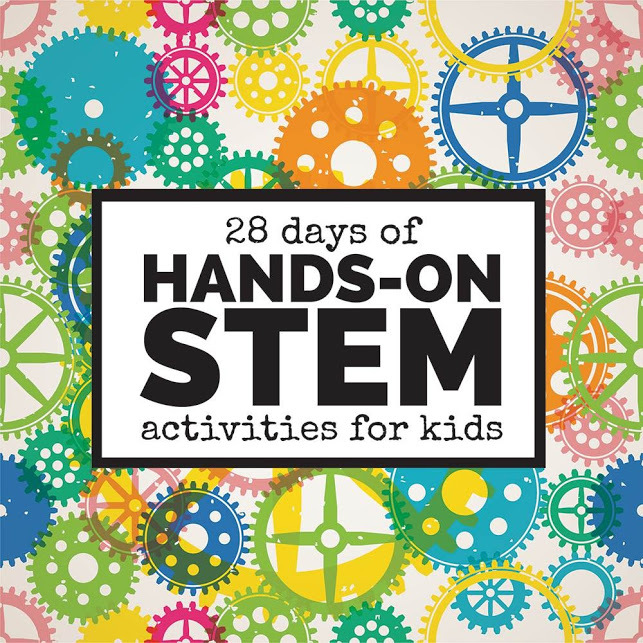 This post is part of the 28 Days of Hands-On STEM Activities for Kids linkup! Stop by to get a look at all of the awesome STEM resources being shared this month! This is an excellent list! I offered 8 of these to my classes today (grade 6) and the variety covered many interest levels and skill levels and the students can’t wait to code again. Yay! I’m glad that your students loved it! 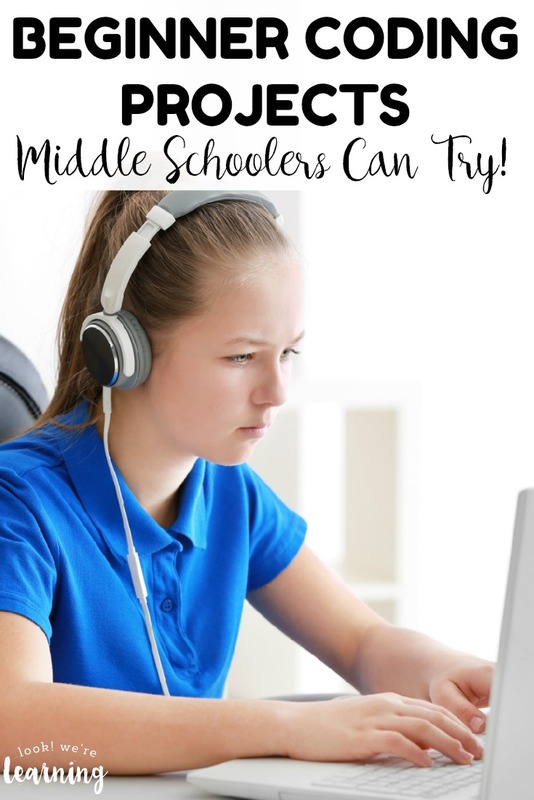 Since my daughter is going into sixth this fall, I’m planning to share more middle school resources. Thanks so much for stopping by!